She contacted HR and explained that this error had been happening for a few months. After looking into the issue HR agreed that she was paid incorrectly and will be making the correct adjustments and pay her the backpay. 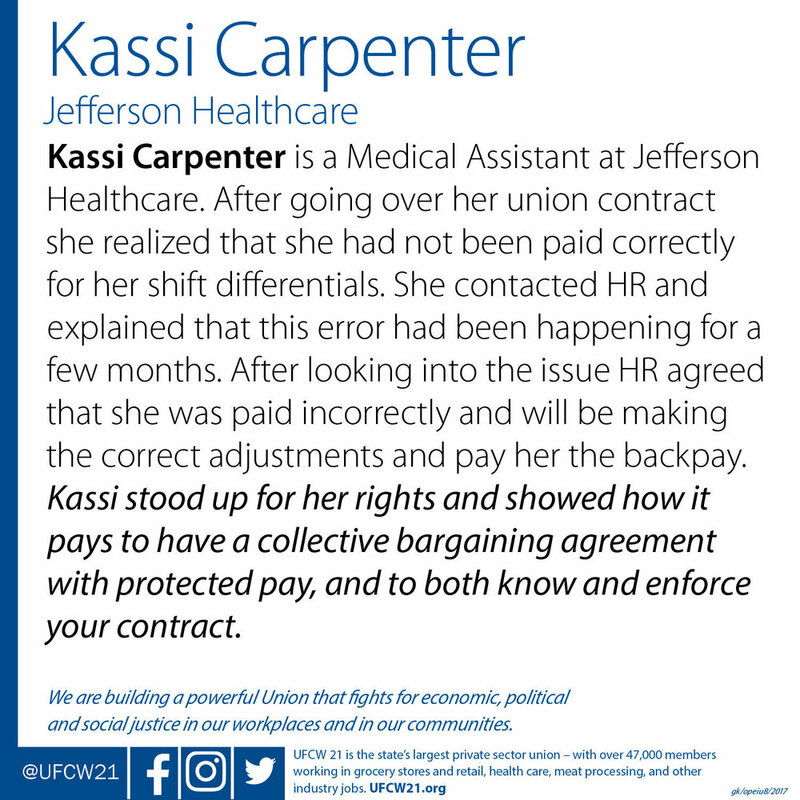 Kassi stood up for her rights and showed how it pays to have a collective bargaining agreement with protected pay, and to both know and enforce your contract.